I'm finally in a position where I can start building my own turbo system on my E36 and I'm pretty excited about it, well I'm actually in the process of restoring the entire car, so why not? 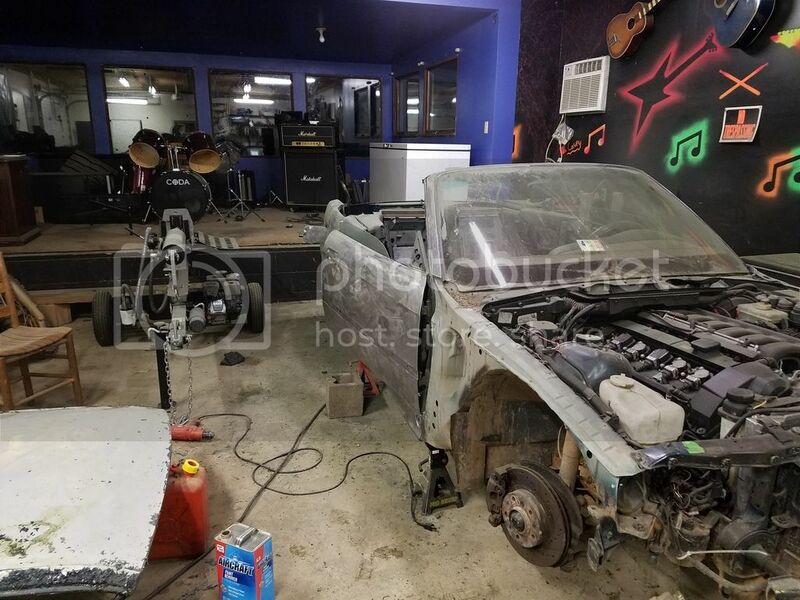 I have my own shop with all the equipment I need and I also have alternate vehicle so I can really take my time on it and do it right. With that said, I've never built my own FI system before so any feedback or experiences anyone has had with the m5x/s5x motor is greatly appreciated. I intend to do all the work myself aside from tune (unless I can get some good advice on how to do that part myself). As far as piping I may look into getting my own welder/pipe bending equipment and taking care of that part myself as well. 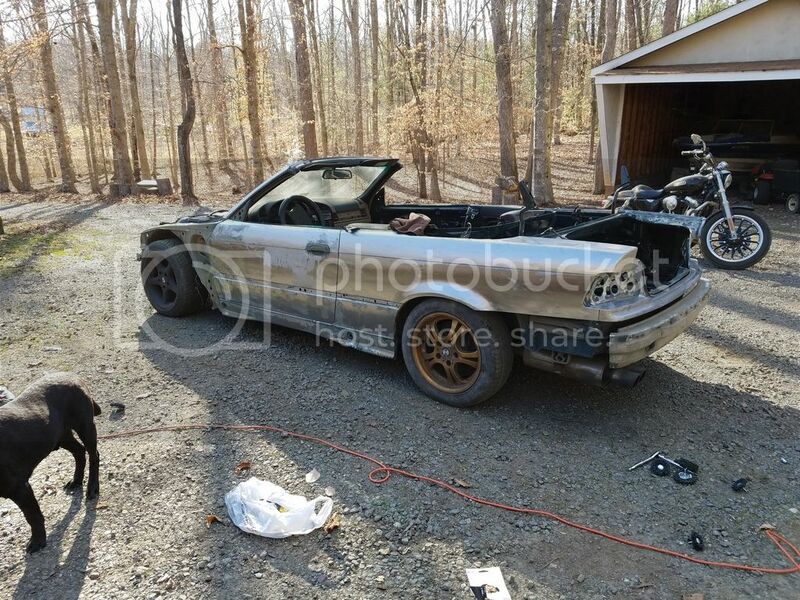 With that said about the car; its a 97 328i convertible with approx. 140,000 miles on it. 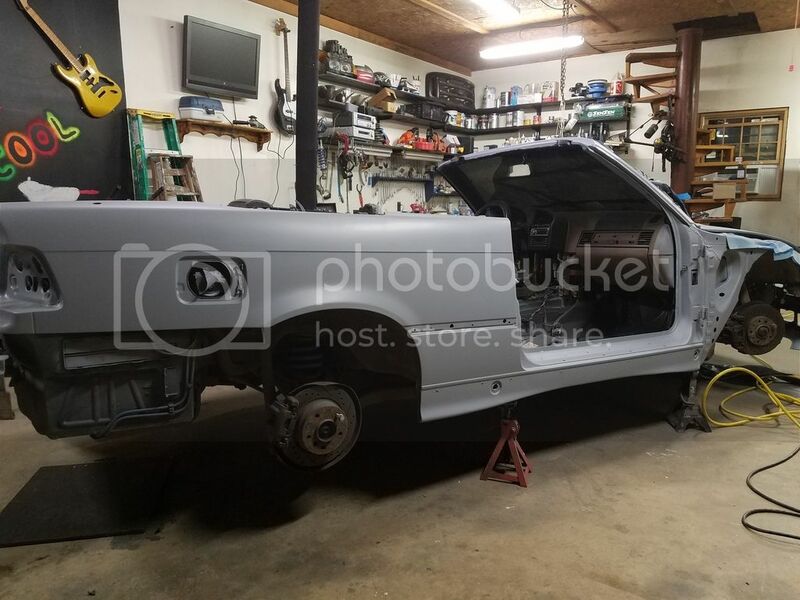 the entire vehicle was recently stripped own to bare metal and primed by myself. 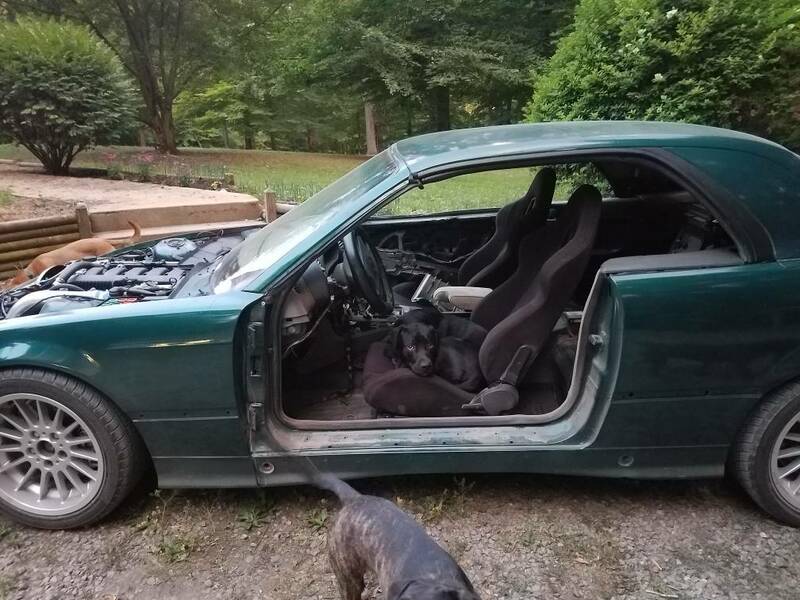 I've had the car for quite some time and its been through quite a bit cosmetically as a Deer have decided to jump into it I believe 3 times now (hence the body work). 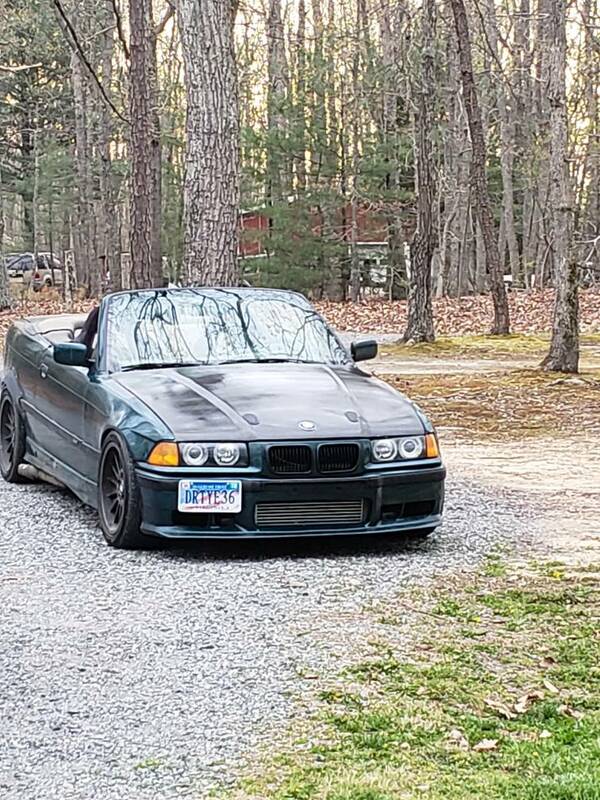 The car will be repainted it's original color, Boston Green when it starts to warm up here in VA (will post pics of the body work later). Interior has been gutted as well and will be replaced as I find replacement parts that meet my standards. - Can't decide if I want to go to scrap yard and grab metal oil filter housing off an m50 yet for oil taps, any suggestions? - The car will be intercooled and I haven't decided on tuning yet, I've read a lot war chips and stand alone ECU's and I'm no in a rush to make a decision. - Walboro fuel pump, suggestions on this? Blow through, comes with stock DME tune. - As far the electronics; gauges and things of that sort. I'm not in a rush to make a decision on those. I feel that these items can wait after mechanics are sorted out. Last edited by 328iFun; 04-27-2018 at 09:46 PM. I embarked on a similar project a few years ago, take a look at the 97 BMW M3 thread in my signature. You should consider cutring head gasket and spacer over MLS. A Spa bottom mount cast iron manifold is popular and you can retain AC. Keep an eye on classifieds, used turbo tunes and parts always pop up there. I went with RK-Tunes and have been pleased with results and service. It appears you're not afraid of a project, so this should be no problem. Plan to spend $4-5k on the full turbo setup. 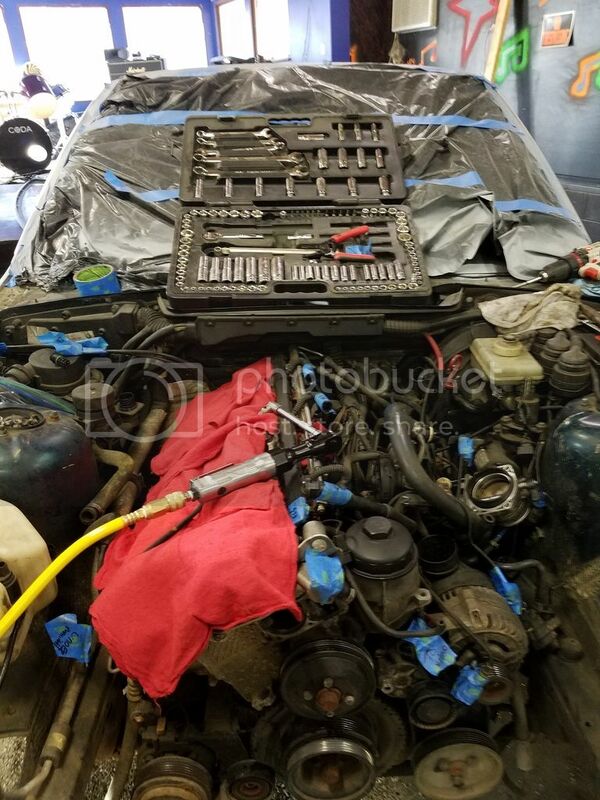 S52, OBD2 RK 60lb, cutring and spacer, ARP head studs, GT3582R, AA bottom mount, Tial 44mm WG, Tial QR BOV, Vibrant 3.5" IC, FX stage 4 clutch, hobbs switch meth injection, working AC, and 516 RWHP! I think I had read over your thread once before and I'm sure I'll be using it as a good reference point.. As far the Bottom Mount, I was really hoping to be able to pop the hood and see the turbine laying there BUT if Bottom will save me time and frustration than I don't see too much of a problem with it. And I was thinking about doing cutring will probably seriously consider it. Have any links to the manifold by chance? Last edited by 328iFun; 03-14-2017 at 07:14 AM. Don't bother with the metal oil filter housing. You will be feeding turbo from vanos line banjo bolt. Walbro 255 pump cheap and good. As for MLS vs Cutring/spacer. Comes down to budget. If you can afford cutring get it. But $700 vs $450 with ARPs. That rockband garage is on point! I would look into an AEM 320LPH pump. I picked one up for about the same price as a walbro 255 when my 255 went bad last year. Great, I was looking into that. I saw that there's adapter for relatively cheap, Ill probably go that route. I'm going to look around for gaskets and get some prices. I plan on taking the front end of the car when I get home and I've already ordered the head removal tools. Haha, thanks. My fiance and I will go out Jam out every once in awhile. She plays drums I usually have to persuade her though. I'd just buy an OBD2 M52 60 lb blow through tune rather than mess around with the OBD1 Miller War Chip. A good tune will handle a GT35R on an M52 anywhere in your 6-20 psi range. I would do a bottom mount gravity drain manifold like the $500 SPA or, if the budget allows, the new twinscroll steedspeed for $1350. And spend the money on the cutring and spacer if you are thinking this motor might be longer term. There are plenty of cases of MLS gaskets going 20k or more miles if properly prepped, but a lot have eventually leaked for some reason. That's good information. 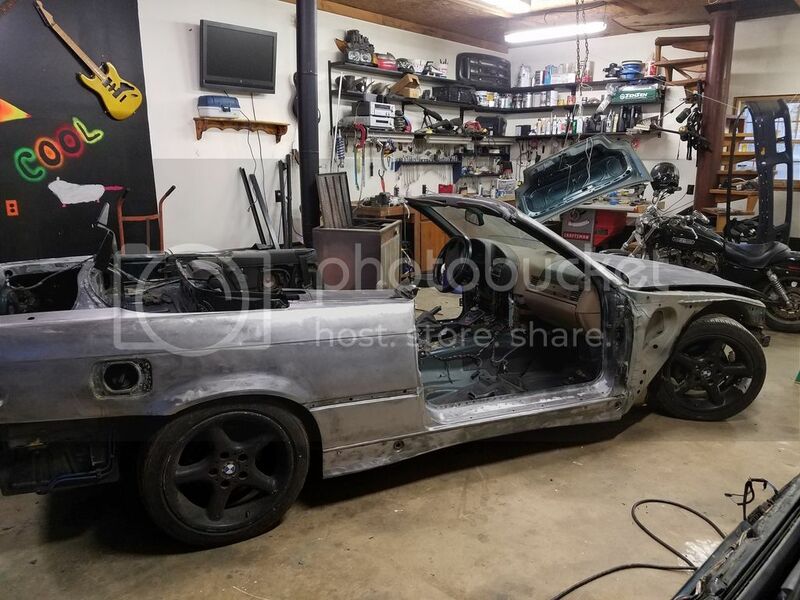 Will all the effort and money I'm putting into this car I would like it to last as long as possible and at this point I'm thinking the cut ring is the way to go. You wouldn't happen to have links for the blow thru/gasket would you? You can probably order one through member Butters Stoch, who supports CES as you can see from his signature lines. Worked on the car maybe for an hour today. Heads pretty much waiting to come off just waiting for the tools. Last edited by 328iFun; 03-14-2017 at 05:56 PM. 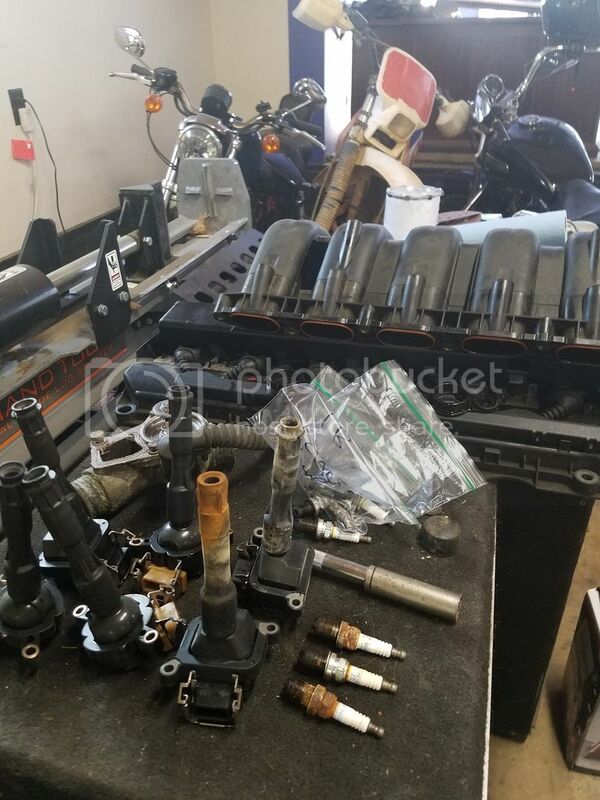 Did most of you guys take your cylinder head to be milled and cleaned? 100% yes on cylinder head you should put in new seals too. I've got a 64.5 mm bw sxe for sale if you want. It's a little bit large but would fit your application depending on manifold lol. I would use a smaller, more responsive turbo for your power goals on your 2.8L. More like a GT3582R size turbo. More than likely what ill go with...will be taking the head Monday to be resurfaced. I was looking into ordering the gasket/spacer/rings and studs but I noticed there are different dimensions 84.5mm to 87mm? Does anybody know what would best for the m52? Thanks for the help, I'm noob on a lot of this stuff but I'll eventually figure it all out. Last edited by 328iFun; 03-16-2017 at 11:02 AM. Would this http://www.ebay.com/itm/like/2722953...&ul_noapp=true be a good install for top mount? that looks pretty nice for the price. Its mild steel so expect the paint to fall off and turn rust colored in a month. I noticed that the shock tower was beaten in on the picture for clearance so you might have to do the same depending on turbo. Looks like there are some different options for wastegate placement and such as the pictures show a few different configurations. $1000 for a used gt35r seems expensive to me.